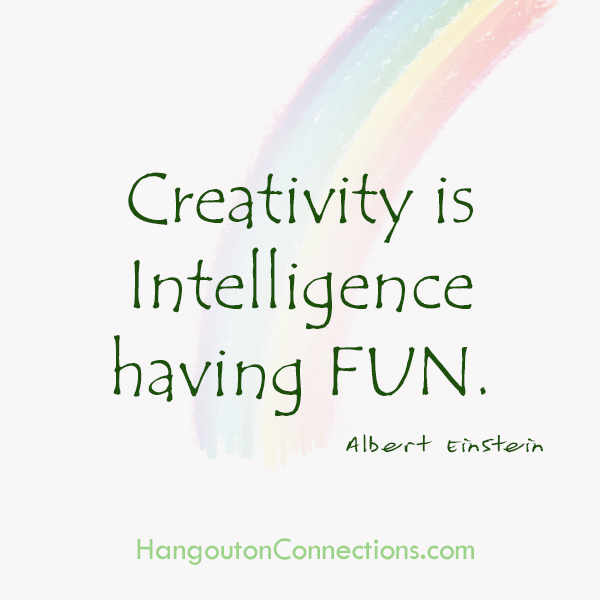 Albert Einstein said: “Creativity is Intelligence having Fun.” No-one can deny that creativity is a life skill that brings out Fun & Relaxation in our life. If you know how to do it you are already a master. And for those of you who struggle with stress, tensions and other problems, you may want to have more fun and relaxation in your life. Being in the state of Joy creates a better climate inside our bodies for your cells and organs to serve you. Also, it inspires other people to let go of their negativity as well. To getting into the grove of habitually having fun, we might have to practice it first. And, getting used to have more of the juicy energy that positive and happy people have, you may want to know how this is done. So Heidi Hornlein and Margherita Crystal Lotus decided to share their inside secrets to having fun on a regular basis. Fun & Relaxation at the Gates (introduces the week long series) Join our Hangout on Connections on Google+ on August 6th at 10 am EST. And to register for the FREE weekly series between August 9-16. Join on this link!